Imagining extra dimensions is a fantastic ToK topic – it is something which seems counter-intuitively false, something which we have no empirical evidence to support, and yet it is something which seems to fit the latest mathematical models on string theory (which requires 11 dimensions). Mathematical models have consistently been shown to be accurate in describing reality, but when they predict a reality that is outside our realm of experience then what should we believe? Our senses? Our intuition? Or the mathematical models? Carl Sagan produced a great introduction to the idea of extra dimensions based on the Flatland novel. This imagines reality as experienced by two dimensional beings. Mobius strips are a good gateway into the weird world of topology – as they are 2D shapes with only 1 side. There are some nice activities to do with Mobius strips – first take a pen and demonstrate that you can cover all of the strip without lifting the pen. Next, cut along the middle of the strip and see the resulting shape. Next start again with a new strip, but this time start cutting from nearer the edge (around 1/3 in). In both cases have students predict what they think will happen. Next we can move onto the Hypercube (or Tesseract). We can see an Autograph demonstration of what the fourth dimensional cube looks like here. 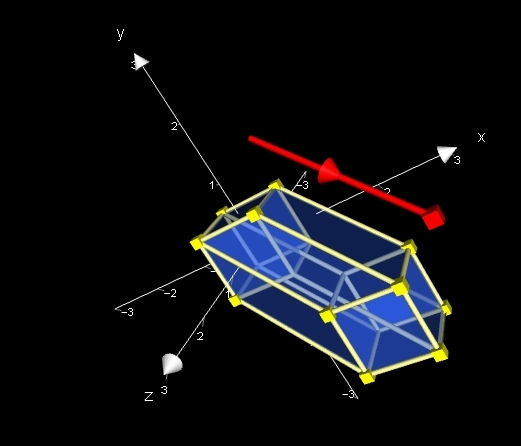 The page allows you to model 1, then 2, then 3 dimensional traces – each time representing a higher dimensional cube. For a more involved discussion (it gets quite involved!) on imagining extra dimensions, this 10 minute cartoon takes us through how to imagine 10 dimensions. 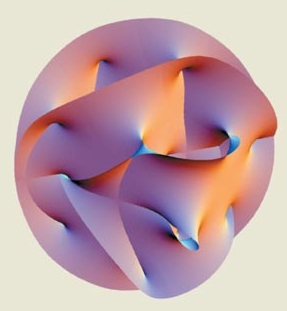 It might also be worth touching on why mathematicians believe there might be 11 dimensions. Michio Kaku has a short video (with transcript) here and Brian Greene also has a number of good videos on the subject. All of which brings us onto empirical testing – if a mathematical theory can not be empirically tested then does it differ from a belief? Well, interestingly this theory can be tested – by looking for potential violations to the gravitational inverse square law. The current theory expects that the extra dimensions are themselves incredibly small – and as such we would only notice their effects on an incredibly small scale. 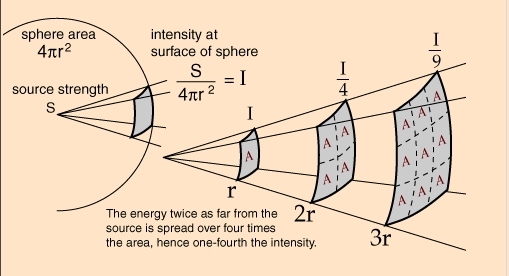 The inverse square law which governs gravitational attraction between 2 objects would be violated on the microscopic level if there were extra dimensions – as the gravitational force would “leak out” into these other dimensions. Currently physicists are carrying out these tests – and as yet no violation of the inverse square law has been found, but such a discovery would be one of the greatest scientific discoveries in history. Other topics with counter-intuitive arguments about reality based on mathematical models are Nick Bostrom’s Computer Simulation Hypothesis, the Hologram Universe Hypothesis and Everett’s Many Worlds quantum mechanics interpretation. I will blog more on these soon! Wolf Goat Cabbage Space – a problem solved by 3d geometry. Graham’s Number – a number literally big enough to collapse your head into a black hole. dear sir I’m a fan of mathematics..I would like to present my views on the 4th dimension…The 4th dimension is time. x=c is equation of point eg x=1,2,3 etc. ax+by=c is equation of line. ax+by+cz+dt=e is an equation of space. we can place all the value of x y z here in this equation of space. Any value is possible..then what is ‘t’ here? t means time ..for a particular value of time t here can be a a equation of plane..that means a moving body in 3d if considered a point of a plane is at that particular time …equation of plane state object at rest..not moving..but if t is considered as 4th dimension then we are dealing that integration of plane and all planes at different time and if we consider a body or a point then that moving body as a part of moving plane…. interesting question can be asked here how t having unit second can be added to x y z those having length…constant before t is considered as velocity a constant value for some moving object similar to constant designated before x y z..
hello, bidur tiwari, I think you are confusing spacial dimensions with space time, which is also a concept which involves the 4th dimension, however the meaning of the 4th dimension in this aspect is completely different to what this page is talking about. Would this be an appropriate IA for math sl? Because it is listed under geometry in the examples list, so would it get a good score or should I choose something else? Thanks! It could be – you need to think about how you can personalise the topic. Can you think of a question to investigate to do with extra dimensions? That would then allow you to have good reflection marks. There is a fundamental error on this page. If you make a Mobius strip as suggested, it has 3 dimensions, not 2. If you can pick an object up, then by default it has 3 dimensions. A Möbius strip is a two-dimensional surface with only one side. A mobius strip is a 2 dimensional surface (manifold) in 3 dimensional space – in the same way that the surface of a sphere has 2 dimensions even though it exists within 3 dimensions. In order to make a mobius strip we twist through the 3rd dimension – so we need the 3rd dimension to build it – but it remains a 2 dimensional surface. The higher dimensional equivalent is the Kleine bottle – which requires a 3 dimensional object being twisted through the 4th dimension to make. How would you suggest involving a data set in this area of study for a math sl ia, since it is a suggested topic? « e’s are good – He’s Leonard Euler.